In comparison with countries with developed economies (e.g. the USA, UK or Germany) Ukrainian NPL and debt restructuring market is still quite undeveloped and suffers from a lack of tailored legal and financial instruments which could facilitate quick and efficient debt restructuring process and speed up turnaround. In the last five years we have seen a number of sophisticated debt restructuring cases which have established certain market standards and have given a vector for further development of the debt restructuring practice in Ukraine. Based on our experience of work on numerous projects for various types of clients (residents and non-residents, banks, credit unions, ECAs, production companies, bondholders, etc.) in recent years, we have summed up some nuances and peculiarities of debt restructuring in Ukraine below. The success of a restructuring project depends, to a great extent, on the parties involved and their ability to handle a deal to the proper level. 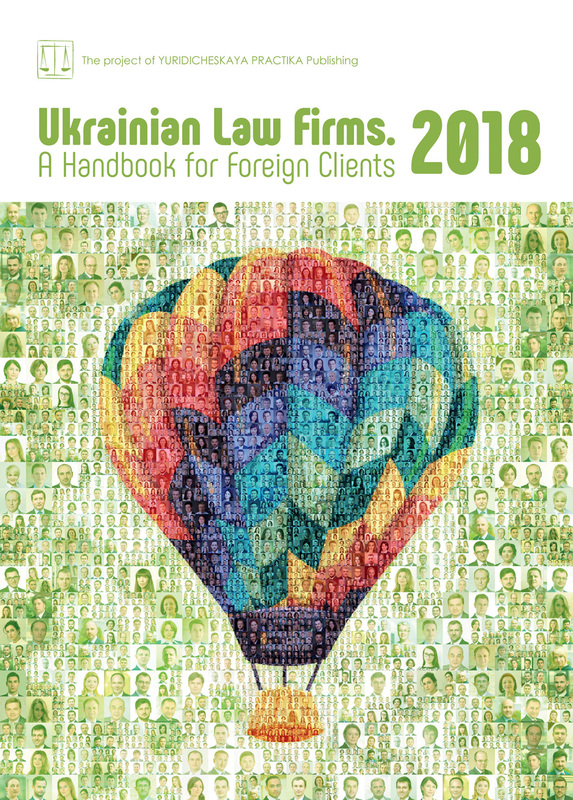 While the majority of Ukrainian borrowers have Ukrainian owners and management, on the creditors’ side we may see purely local creditors, local creditors owned by international companies as well as foreign creditors. Each type of creditor has its own style of dealing with borrowers and its own ideas on successful restructuring. In cases with several creditors their positions may conflict each other and create obstacles on the restructuring path. Ideally, potential contradictions should be foreseen at an early stage and negotiated. From the borrower’s point of view, it may be much more efficient to deal with each creditor separately in order to avoid odd negotiations aimed at synchronization of creditors’ positions. It is very important to manage the expectation of the parties to the case from the very beginning. This relates to all the aspects of a project: timing, costs, potential recovery, additional security, future cash flows, etc. Otherwise, driving by different expectations, the parties may move in different directions, which could be very harmful for the project. It so happens that in the course of a project, some initial data based on which the parties form their positions and forecasts for the project may change due to various factors (e.g. change of economic or political situation in the country, change of legislation, impact of the market, etc.). In such cases the success of the project depends greatly on the flexibility of the parties and their ability to adopt their positions in line with the new realities. When working in Ukraine you should be ready for fast-changing legislation and general business environment. So, it’s always good to have a “plan B”. Very often (especially in complicated cases) the success of a restructuring depends on the efficiency and promptness of the initial steps taken by creditors after a borrower’s default, or even prior to such default. Sometimes the chances of successful restructuring may be negatively affected by improper behavior on the part of creditors. Below are some examples of the approach of creditors which weaken their position vis a vis borrowers. This mistake is particularly crucial for agricultural, retail, and other sectors of the economy where a significant portion of a borrower’s goods are commodities or goods in turnover. The pledge of such goods requires permanent control of the availability of a sufficient volume of goods as well as their quality, legal status, etc. Such monitoring is extremely complicated and burdensome, especially in the agricultural sector where goods may be stored in several warehouses in different regions. Moreover, there is a shortage of reputable and well-organized surveyors on the market. As a result, in most cases creditors prefer to limit control by inspections conducted by their employees from security or risk departments who visit warehouses from time to time. It does happen that the lack of control from the creditor’s side creates a great temptation for a borrower to mislead so as to obtain more funding from a creditor without proper security. The most popular scenarios are overstating the volume of goods in stock and showing a third party’s goods as the goods pledged to a creditor. We have seen several cases where thousands of tons of crops and oil pledged to creditors and reported to be in stock “disappeared” over the course of several days. As a result, creditors who considered themselves to be secured became unsecured. Needless to say that this fact totally changes the positions in negotiations and further development. The very complicated corporate structures of some borrowers and intragroup relations of such borrowers (especially in the agricultural sector) significantly complicate analysis of the financial conditions of a borrower and forecasts of its performance. Due to this, sometimes companies with perfect financial statements (on paper) have become insolvent quite unexpectedly for creditors. And there were examples where creditors provided significant amounts to companies which were actually insolvent and were already in default on some part of their debt. When it comes to default and the potential insolvency of a borrower, it is of vital importance to take immediate steps, which enable creditors to take control over the situation and prevent the leaking of a borrower’s funds and assets. In plane speak, in cases involving insolvency, creditors, by their actions and strong position, have to force a borrower to go into restructuring rather than into bankruptcy. And the timelines for such actions are usually quite short. However, in practice, especially in cases involving several creditors, it takes more time to synchronize the position of creditors and turn up the heat than the situation allows. As a result, creditors very often lose the initiative and just follow the borrower’s plan while the borrower has the upper hand. This is a very common approach on the part of foreign creditors when they rely on security instruments or concepts recognized under English law, but not recognized or unenforceable in Ukraine. One such example is using the trustee concept to appoint a security agent. Since the trustee concept is not recognized in Ukraine, appointment of a security agent based on this concept creates a very high risk for validity and enforceability of the security. As a result, this may weaken the negotiating position of lenders in the course of restructuring, especially in complicated cases. Sometimes foreign creditors who are not familiar with the peculiarities of bankruptcy proceedings in Ukraine sincerely believe that they can create pressure on a borrower by threatening to initiate the bankruptcy of the borrower. In fact, in the majority of bankruptcy procedures unsecured creditors will end up with zero recovery and secured ones will only recover a portion of their exposure. Therefore, it is in the interests of lenders to prevent the bankruptcy of a borrower and to keep it as a going concern. Local currency control rules remain extremely tough and, to a great extent, complicate cross-border debt restructuring process. However, in 2017 the National Bank of Ukraine (NBU) implemented several positive long-awaited initiatives. The first one is connected with loans from international financial institutions (IFC, EBRD, EIB, etc.) and cancels the requirement of registration of loans from the IFIs with the NBU. The second one relates to the registration of loan agreements or changes to them with the NBU in case of assignment of rights under a loan agreement by the initial lender to a new one. Previously, it was only a borrower who could initiate registration of changes to a loan agreement with the NBU. This requirement de-facto blocked assignment of rights under NPLs in most cases due to the absence of cooperation from the borrower’s side and, as a result, impossibility to register changes to a loan agreement with the NBU. Lenders are now free to initiate registration of changes to loan agreements in case of assignment, which opens up new opportunities for them. It is obvious that the main task of a legal advisor is to provide proper legal support to his/her client in the course of a restructuring project and to ensure maximum protection of the client’s interests, be it a creditor or borrower. However, in complicated cases the legal advisor’s role is broader and much more complex. Sophisticated clients would expect a counsel to take an active role in the project, including negotiations with other parties and downplaying tensions between the parties, offering business— oriented solutions and, sometimes, acting as an arbitrator between the parties. Therefore, it is necessary to ensure a proper level of involvement of a legal advisor’s senior staff so as to be able to cope with all the obstacles that may arise in the course of a project.